Time for another challenge card. this one was made for a challenge I just heard out about last night. It's call the Pinspired Challenge. What a fun challenge, and I definitely plan to play along again. 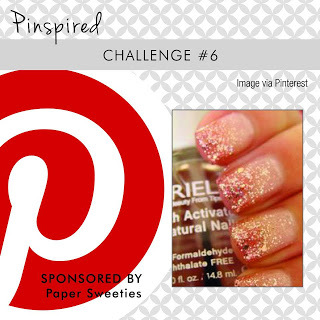 I love the pink sparkly nails in the inspiration picture! The rhinestones and the sparkly ribbon, give this card just enough sparkle. The main image is up on dimensionals. Way to flash some Verve, Julie! 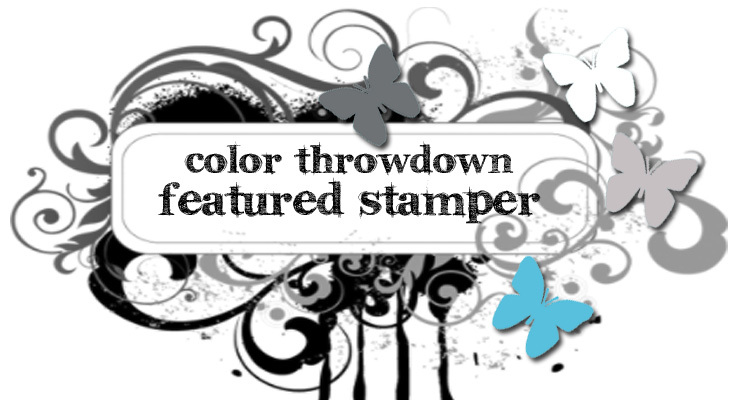 Love the embossed BG too. Julie, this is so pretty and feminine! I love the clean look! 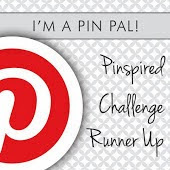 Thanks for joining us at Pinspired challenges!! 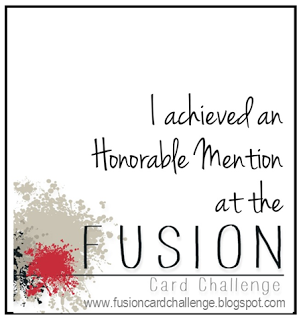 wow gorgeous card.. thanks for joining us at Pinspired Challenge..